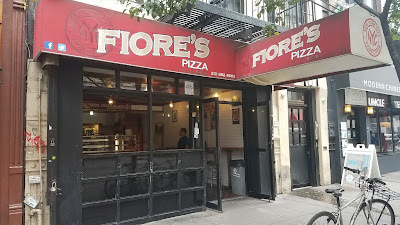 If you've been to Greenwich Village and walked along Bleecker St., maybe you've walked by Fiore's Pizza, maybe you've turned your head or even grabbed a slice, or maybe you didn't even know it existed at all. 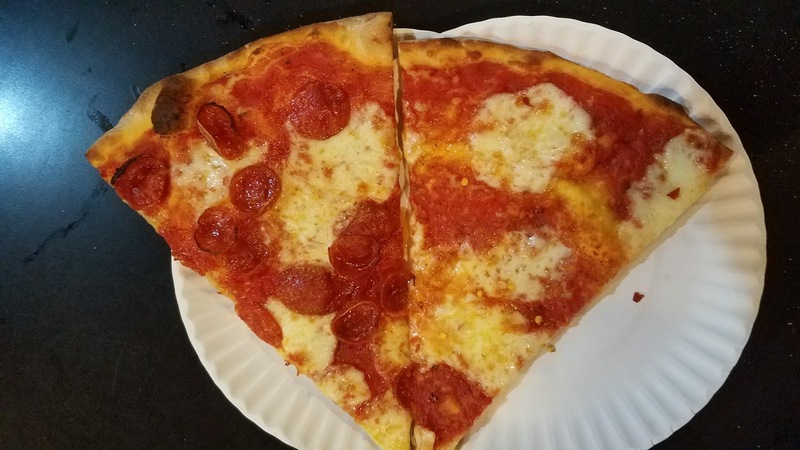 In a neighborhood saturated (but not overly-so) with so many pizzerias and slice joints, Fiore's may not command the same status of household names like Joe's or John's, but the quality is there if you look for it. 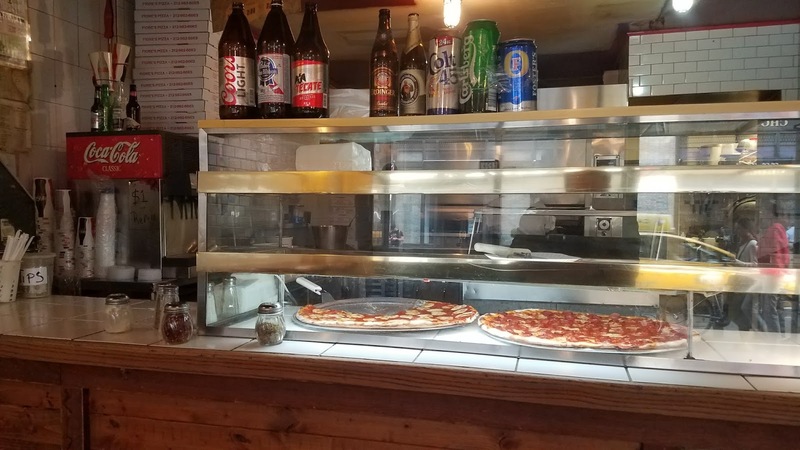 Formerly the mediocre-at-best Pizza Booth, retired firefighter Steve Cunningham opened Fiore's a few years back in honor of his best friend Mike Fiore who tragically perished in the World Trade Center on 9/11. Mike had always dreamed of opening a pizzeria but never got the opportunity, so Steve did the next best thing by opening a joint in his name. I don't know where Steve learned to make pizza, but he's definitely doing something right. 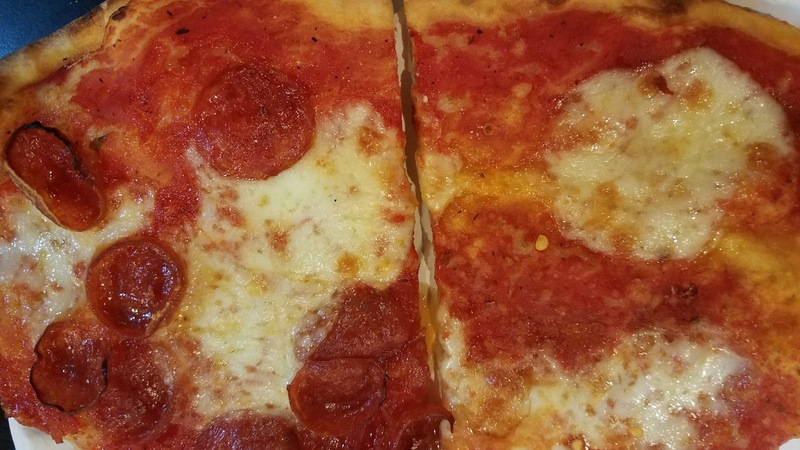 That's what I'm talkin' about - nice curl and cuppage with a hint of char on the edge. I love the pepperoni slice here much more than their "plain," which they technically call a Margarita [sic]. 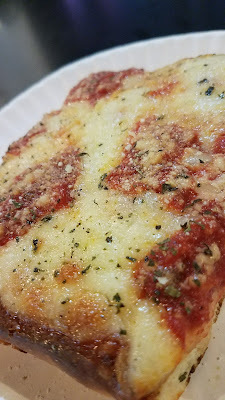 Both employ fresh mozzarella rather than it's more orange and oily low-moisture brethren, something I respect but wish there was more of on the plain. 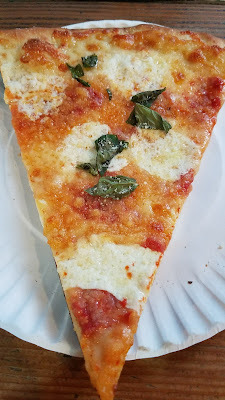 Having been here several times, I've noticed some inconsistencies in that their Margherita slice doesn't always come with basil, but when it does, it makes for a much more balanced experience. While the pepperoni slice takes the #1 spot for me, I really love their "Grandma" slice, which to me is much thicker than most but employs the same toppings and flavor profile. 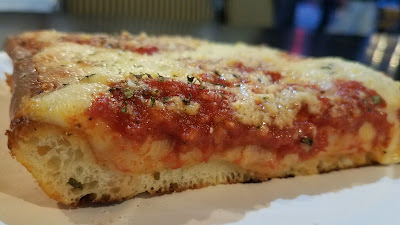 Think of it as a Grandma, but with the thickness of a Sicilian square. Beautiful hole structure, combined with a crispy bottom and a zing of oregano yields a really nice end product here. 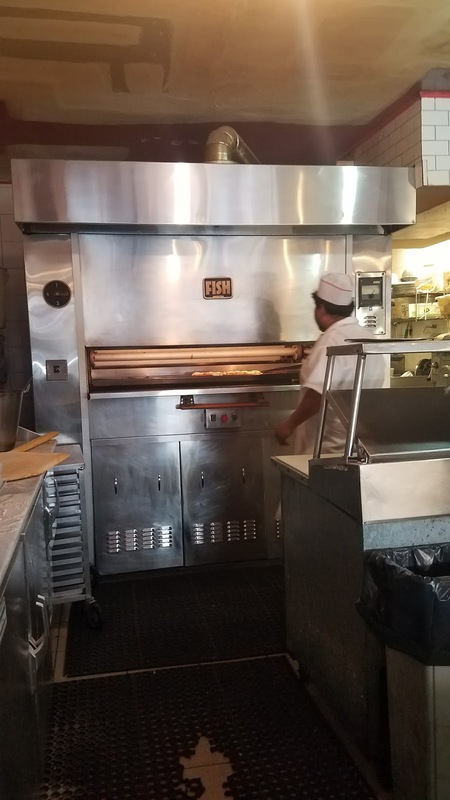 All the pizzas are baked in a truly-awesome Fish revolving oven, which has multiple decks that cycle up and down and around again for maximum space for full pies and slice reheats providing a nice consistency across the board. Next time you're in the neighborhood, tune your nostrils to the frequency of the baking cheese, sauce and dough wafting out the open windows of Fiore's. Order a slice or two, let yourself get hypnotized by the endless loop of pizza in that oven while you wait, and pay your respects to Mike while you scarf those killer 'ronis.